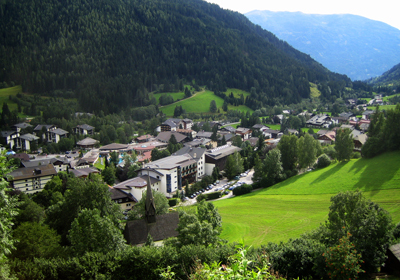 One of Austria's attractive spa towns, Bad Kleinkirchheim is a pretty town set in the Carinthia Province. The town dates back to the 11th Century, and is well known for its healing thermal springs and sweet smelling Alpine valerian plant. The resort is predominantly traditional chalets, and sits beneath the peaks of the Nockberge Mountains. With plenty of historic buildings, cafes and restaurants, Bad Kleinkirchem is an excellent base for those looking for a dual season resort with picturesque surroundings. There is a range of shops and boutiques in the centre of the resort that sell everything from sporting goods to jewelery. The resort was once predominantly an agricultural town, but has become a well known ski and spa resort since the mid 20th Century. It gets over 200 days of sunshine a year, and the wooded slopes are pleasant year round. 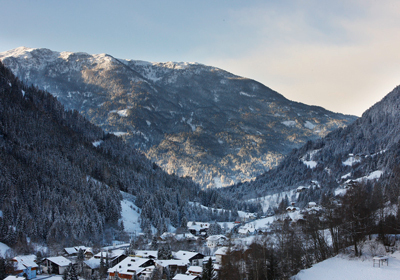 The resort is less than two hours from Salzberg airport, making this one of the more accessible ski resorts in Austria. 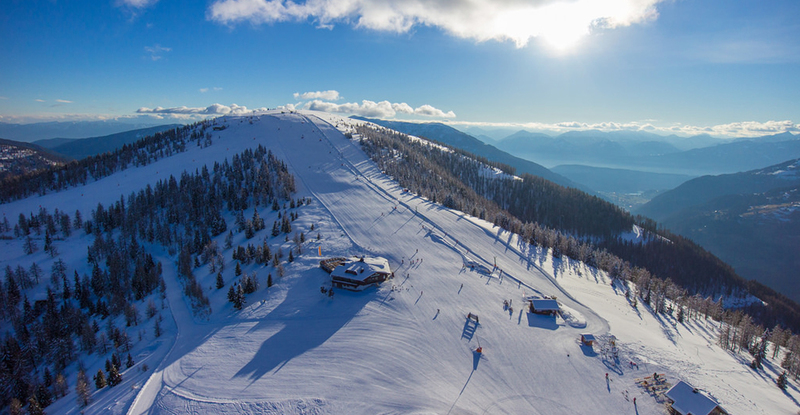 Bad Kleinkirchheim has over 100km of ski slopes, and 75% of the runs are red intermediate slopes. The resort is the favourite skiing destination of Olympic downhill gold medal winner Franz Klammer, who learned his trade in the area. There is a World Cup downhill course in the ski area named after him, and he still skis in the area a few times a year. The free ski bus service links all of the main lift stations, keeping queues manageable even during high season. The area is home to 23 full table service mountain huts, so casual skiers looking for a long lunch to break up the ski day can enjoy sunny terraces and hearty food. 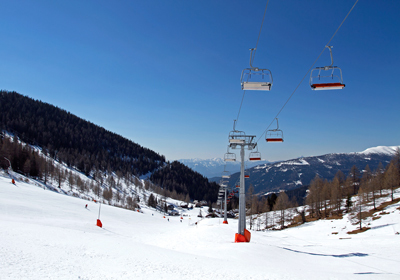 While challenging enough, the ski area has plenty of blue runs to suit beginners. Elsewhere, experts will enjoy the steep, high altitude terrain and tricky black runs. A 4km floodlit run is perfect for night skiing, while the resort has an impressive 15km of toboggan runs. Located in the Nockberge National Park, Bad Kleinkirchheim has over 1,000km of hiking and mountain biking trails, ranging from short walks to the six day, 400km trans-Alp tour. Those on the trails can enjoy a number of buschenschankens, which are wine growers restaurants where they serve their own wines and local specialties. There are hammocks dotted across the mountainside, set up near streams and waterfalls, designed to make the most out of the stunning scenery, clean air and clear streams. The cable cars in the resort operate throughout the summer, and make the downhill mountain biking trails easily accessible for those not keen on cycling uphill. Golfers can enjoy the 18 hole Kaiserberg golf course, while there are trial courses and a 6 hole practice green available. As in winter, the thermal spas are very popular in summer, with the historic Karlbad Spa offering the authentic Austrian spa experience. There are some older resale properties for sale in Bad Kleinkirchheim, but the real draw to the resort are the pretty new build chalets that offer traditional Austrian charm in a peaceful setting. 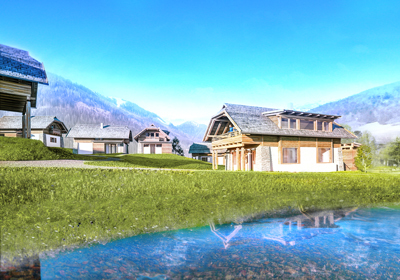 The new build and resale chalets alike offer traditional Austrian charm, with most using local materials and techniques. While some of the properties for sale in Bad Kleinkirchheim are conveniently located, there are a number of chalets in a more secluded hamlet where there is an on site spa and restaurant. There are also a few more central chalets, right beside the ski piste offering easy access to the slopes. 3 picture-perfect Austrian chalets built and ready to occupy in the heart of the Carinthia Province.